The FAA also requires Special Issuance for many medical conditions not specifically listed as disqualifying in the FAR’s. Some conditions require immediate grounding while others do not. The conditions listed below are specifically listed in the FAR’s as disqualifying, yet most of these conditions still permit Special Issuance medical certification. Contact us to determine eligibility. Aviation Medical Examiners are usually NOT authorized to grant Special Issuance certification. Some pilot membership groups have issued statements which many airmen have interpreted incorrectly. Many pilots only hear or see the statement “ AME’s authorized…..special issuance medicals” and don’t notice that it is only for certain types of renewals and generally not an actual special issuance waiver. 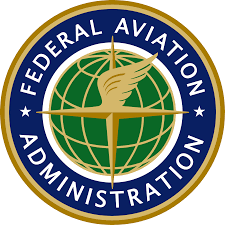 Special Issuance waivers typically must be issued by an FAA government employee versus an AME who is designated by the FAA to perform examinations. Some consider it logical to have an AME coordinate the Special Issuance process. While one-stop-shopping may be an attractive option, this arrangement forfeits confidentiality and can put the pilot in a defensive posture. Many find themselves frustrated when their AME ends up deferring the case to the Aeromedical Branch in Oklahoma. This means the pilot does not walk out of the AME’s office with a medical in-hand and in many of these cases, the pilot waits several months only to receive a letter from the FAA asking the pilot for more records or information. While Aviation Medical Examiners are permitted to renew certain Special Issuance waivers, in most cases the initial waiver authorization must be granted from the Federal Air Surgeon first. This is typically authorized by a letter to the pilot from the Aeromedical Certification Branch of the FAA in Oklahoma City. Those who are authorized must have that letter permitting them to see their AME for Special Issuance renewal. Interestingly many AME’s will still defer these cases due to the complexity of the issue, their lack of comfort or familiarity with the condition or certification criteria. AGAIN, the AME assisted program was not designed for first-time Special Issuance applicants. In most cases the FAA must grant the initial medical certification Special Issuance waiver. The airman must have a letter from the FAA which authorizes AME Special Issuance renewal. Pilot Medical Solutions provides confidential collaboration with your private physician to assure all records and documentation phraseology meets the FAA’s requirements. 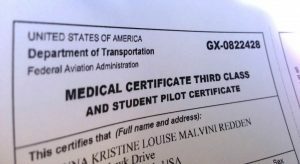 Pilot Medical Solutions has helped thousands of pilots with FAA Special Issuance medical certification. We work directly with your physicians and the FAA to resolve complex aeromedical certification issues quickly. I am wondering if I need Special Issuance if I had a mild heart attack with no surgery? The FAA medical regulations state that if you have coronary artery disease that is either clinically significant or requires treatment, the condition is specifically disqualifying. Having the heart attack or myocardial infarction (MI), is significant. That said, there are many pilots who have had MI’s with Special Issuance certification. Anyone hear off waivers being made in the case of epilepsy in teen years? I am 37 now and take medication for epilepsy but I have not had a seizure since my late teens. My neurologist started they wouldn’t be opposed to me getting a PPL (not an FAA doctor). I don’t want to apply if I’ll get turned down. Unfortunately the FAA will not approve anyone on antiseizure medications. The first step towards the possibility of FAA medical certification would be if your doctor finds that you no longer need the medication. I am on a special issuance for a myocardial infarction and stent placement. Last year was the initial application for the special issuance and this year I had my first renewal. I was under the impression that the AME could issue the medical this time around. He deferred the application/renewal to the FAA. I have not had any symptoms or setbacks since this initial occurance so I am not sure why he defferred to the FAA. He also charged a fee to mail the paperwork for me. I was told I could expect my certificate to come from the FAA at some point. I am an airline pilot and my medical expires in a couple weeks. It looks like next months schedule is shot and possibly more waiting on the FAA. I’ve learned that the special issuance renewal is really no different than the intial and could take months. I guess my question is can I submit paperwork to the FAA myself 2 or 3 months ahead of seeing the AME? Without reviewing your records it’s not possible to provide a thorough reply but there are a few general things we can tell you. (1) Renewing Special Issuance should be a much shorter process and generally the AME is authorized to renew the certificate unless there are new conditions or changes in your treatment. (2) It is possible to submit your paperwork directly to the FAA 2 or 3 months prior to your renewal date. (3) It is ALWAYS best to have someone who is familiar with FAA requirements to review your case prior to renewal because even the slightest change in your medical history can derail an otherwise fit application. You can call the medical hot-line at 888-LEFTSEAT to discuss the details of this situation, even now. Today I went to my first medical exam, class three and they denied mucho exam saying that my migraines were disquialifying the doctor charged me an extra fee for the extra paperwork my problem here is that I am a foreigner with a m1 visa and I need to start studying aviation in my school as soon as possible, how long will it take for the procedure to arrive? Also my doctor did not explain me well how the procedure would be, I send my diagnosis to his mail and then a letter from the FAA will arrive at my address? After the letter arrives what should O do? The FAA will send you a letter in one or two months asking for additional information. You don’t have to wait. You can contact our office today to discuss the details of your case and what they will be requesting. Call 888-LEFTSEAT (405-787-0303). My son, 17, wants to become a pilot and is looking to go to college and study aviation. He has Hemophilia and ADD. Due to these conditions he was denied his medical. Is there anything that can be done? He went on his own without consultation and summited a reconsideration a that came back denied as well. I was reading about the option of having him undergo a Pycological re’evaluation of his condition after more that 90 days of bing off his ADD meds. Any thought on that? These conditions (ADD and hemophilia) are conditions which can be approved by the FAA on a case by case basis. This cannot be approved by a designated Aviation Medical Examiner (AME) and requires approval by the FAA itself. If medications are required to treat the ADD/ADHD this is one thing which will prevent approval. Having favorable neuropsychological testing is essential to FAA acceptance of ADD/ADHD. For many people, testing result will indicate one or more areas of weaknesses. Areas of weakness may be shored-up with cognitive fitness programming. On the hemophilia, the frequency which infusions are required is generally a key element. A complete history and current status narrative will be required. The FAA will require all pertinent medical reports and lab work. This includes but is not limited to frequency, severity and location of bleeding sites. Pilot Medical Solutions has successfully assisted several pilots with this process for 24 years. Contact us at 800-699-4457 (405-787-0303) to confidentially discuss your case. Typically if you qualify for a Special Issuance, you can qualify for all classes, provided you take the FAA examination for the desired class. There are several conditions/issues which have differing standards and requirements for each particular FAA medical class. One example is that if your issue is cardiovascular, the FAA will normally require more invasive and more expensive testing for a class 1 or 2 authorization, such as a radionuclide treadmill stress test verses a standard exercise stress test. We can give you more information if you wish to reply here or you can confidentially phone us at 405-787-0303 to discuss your particular case. You should only start or stop medications after consulting with your treating physician.